Management consultancy firms should give as much consideration to rejected candidates as those they offer jobs to. Many of my friends, former colleagues and contacts are at an age where their youngsters are entering the job market and over a beer we gripe about the poor way candidates are treated by potential employers. Some of those offspring graduating this year are applying to management consulting firms. What is clear is how polarised these experiences are: usually bad but one or two beacons of hope. More than one of the “Big 4” management consultancy firms boasts that they have over 30,000 graduate applicants in any one year. You would think that they would be more careful about these potential ambassadors for their company. Offering someone an interview and then changing their mind because “The team have been very fortunate to have received such a high volume of applications” is simply not acceptable. Meanwhile, any adherence to the published recruitment timetable was abandoned long ago and even now a friend’s son is “in a que [sic] of candidates, should an opportunity to interview become available”. This can be contrasted with the same applicant’s experience at McKinsey: personal coaching for all shortlisted candidates and a well-run and efficient process. The fact that he wasn’t a successful candidate is irrelevant, he is left with the feeling that it was an overwhelmingly positive experience. Graduate recruitment is a notoriously time consuming process, but many of the new graduates of today will be applying for senior positions in a few years’ time. Millennials are heralded as a generation of workers who display an abundance of self-confidence and believe they are highly valuable to any organisation from day one. It is therefore important to ensure management consultancy firms manage the candidate experience well or applicants will be much less likely to apply again. An ill treated candidate is much more likely to tell the marketplace about their negative experiences, and since culture is such a crucial factor in employer attractiveness these days, it could deter top talent from applying to a particular company in the future. The same problems also occur when hiring at more senior levels, despite the current challenge of talent shortage and therefore competition for the best candidates. Again, the experience of my business and of other people I speak to as candidates and recruiters is too often negative. What makes a bad candidate experience? How should a management consultancy firm ensure a good candidate experience? 1. Always keep applicants informed during the process. Don’t wait weeks to send them a rejection letter. Your failure to tell the candidate where he or she stands in a timely manner may be affecting your ability to attract top job candidates for management consultancy positions. 2. If you don’t intend to hire someone, let them know as soon as possible. This can be done via a recruitment agency if you are using one. Be direct, but positive. 3. Ensure every candidate (particularly those not successful) are a positive advertisement for your organization. Candidates will talk about their interviewing experiences whether you like it or not. With all pervasive social media and sites such as Glassdoor, the feedback applicants give about your company will influence those who might apply. Treat all candidates such that they will want to work for your company, even if they are unsuccessful. 4. Treat all candidate referrals with great care regardless of whether you hire them. Where there is one referral, there are potentially several more. The first recommendation may not be suitable, but unless the first candidate has a good experience future referrals are unlikely. The referrer will have a sense of responsibility. This is important because according to a survey by Prism Executive Recruitment small and medium sized management consultancy firms cite referrals as one of the most successful sources of talent. 5. Don’t leave a candidate on “indefinite hold” for any reason. Never leave a candidate hanging while you wait for a better one to come along. 6. 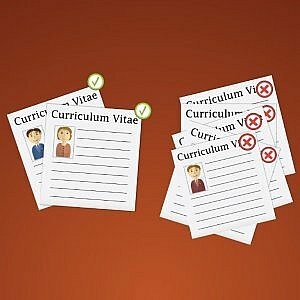 Think carefully about putting candidates off with an elaborate and time consuming application process. For example, you run the risk that in addition to requiring a CV, demanding long written summaries of why a candidate’s experiences is relevant, followed by an online Situational Judgement Test that rejects the candidate instantly with the message “Sorry: you don’t share our values” is not a good candidate experience. 7. Finally, if you decide to hire the candidate, stay in frequent contact with him or her until the formal offer is extended. Not least, this ensures you are in the best position to deal with a candidate with multiple offers or tempted by a counter offer from their current firm. For more information on how Prism Executive Recruitment can assist you in your management consultancy recruitment, please visit our client services and candidate services pages.